Bristling with flair, panache and a fair chunk of the absurd, Damian Szifron’s Wild Tales is a short, sharp shock to the system. Playing out across 6 separate stories (not made plain through any definite chapter markings or headings), the unifying theme for this portmanteau is distress and, most specifically, distressed individuals. Acknowledged by the Academy under their shortlist for Best Foreign Language Film at this year’s awards, it is easy to see why. Brokering a surrealistic slant to some of the incidences that unfold before the camera’s eyes, this is also a rumination on cause and consequence and irrational action undertaken through a rational grievance. A certain amount of ennui from modern living – bureaucracy, dastard’s deeds and petty frustrations – manifest into a recognisable portrait of day-to-day life in the post-millennial world. Not only does the material exhibit an impressive collage of itchy, edgy twists and turns, but the presentation has been spruced up and buffed up by one of the elder statesmen of Spanish language cinema; none other than Pedro Almodovar has supercharged the production elements with the aid of his younger brother Augustin. The results are terrific. Szifron, at 39, is a young director with a keen eye for the unusual. Having written as well as directed this work, he has placed a solid signpost in the ground for a blossoming, fortuitous future. Impressive stuff. 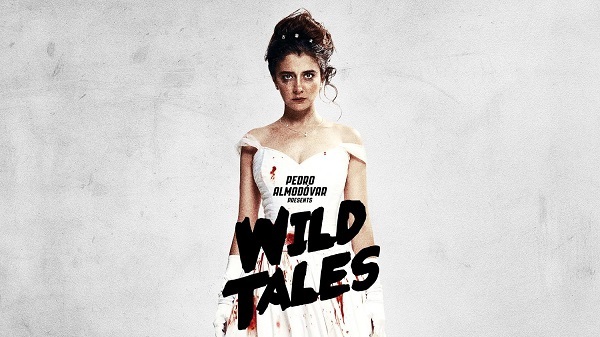 This entry was posted on 14/06/2015 by toomuchnoiseblog in Reviews and tagged argentina, best foreign language, damian szifron, Film, oscars, pedro almodovar, Review, reviews, wild tales.